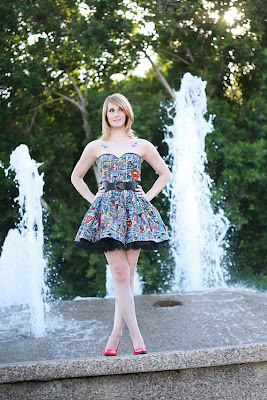 Take a look at this great dress we found by CakeShopCouture. 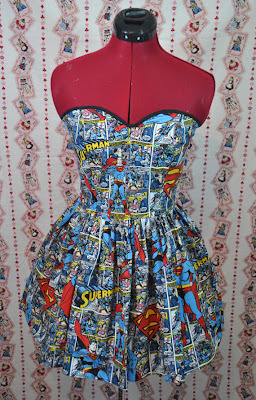 This is a hand made dress in a Superman Comic Book Print. This Man of Steel Print is Limited so there was only 2 made! But the designers also make many more styles in the comic book range to order. This dress would look great on as you can see from the images with the contrast between the blue comic and the red / yellow superman logos making it look great! Here at Oh So Marvelous we Love the idea and wish them every success in the future.